We've all been through the break-out dramas, that washed-out look that just won't budge and circles under your eyes that indicate your body is desperately craving some vitamins & minerals. 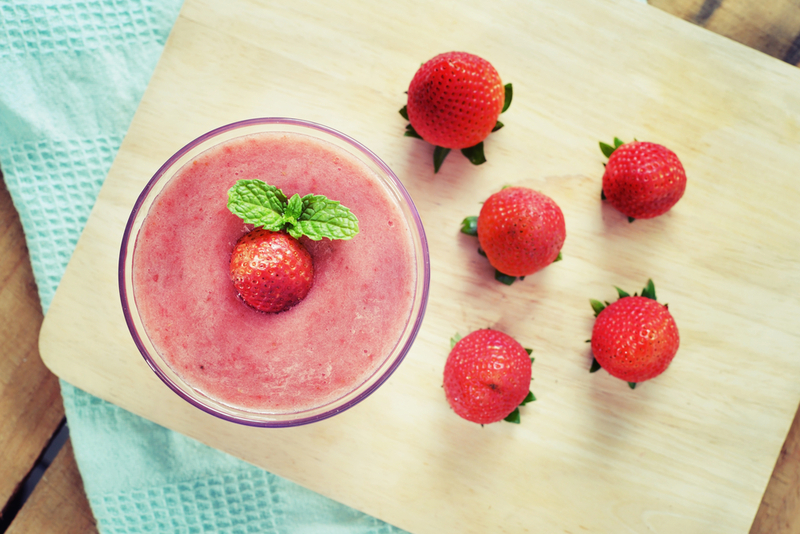 With these quick and easy smoothie recipes, you'll be surprised how quickly these problems will no longer be a worry and you'll swan off with your glowing, perfectly-smooth, radiant skin. Cucumber is never a bad idea and just so happens this this enzyme-rich concoction is full of them. 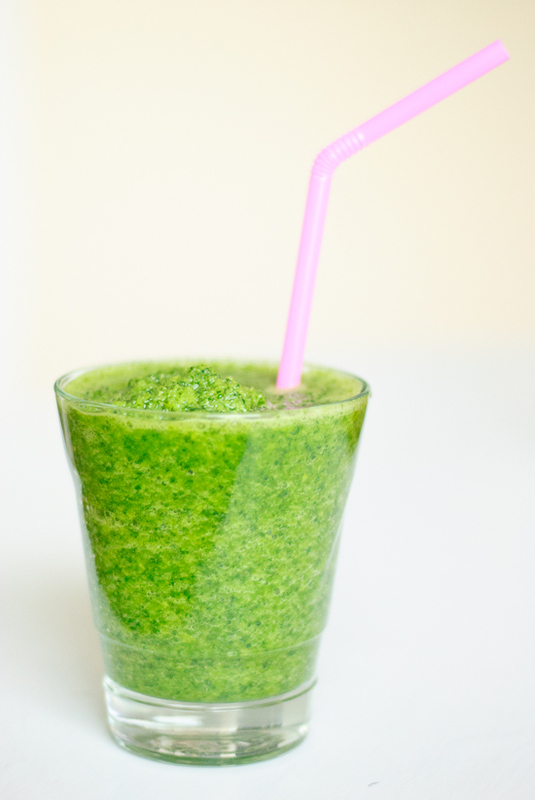 Just as healthy as it looks, this green-on-green recipe, overflowing with vitamin C & E will help keep skin clear, hydrated and supple. 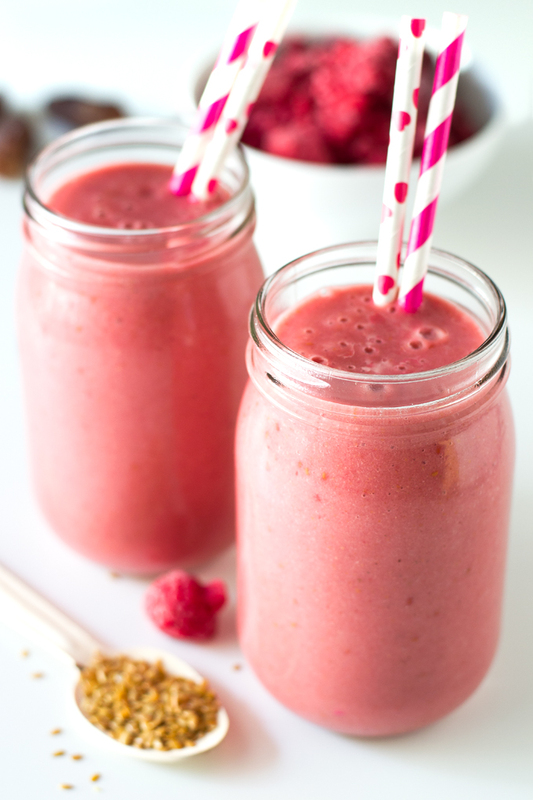 High in protein, this berry-coloured smoothie is full of Vitamin C and compliments vegetarian, vegan and paleo diets. Made with strawberries, beets, kale and banana with a few goodies thrown in, this will fill you up and lower your junk food cravings. 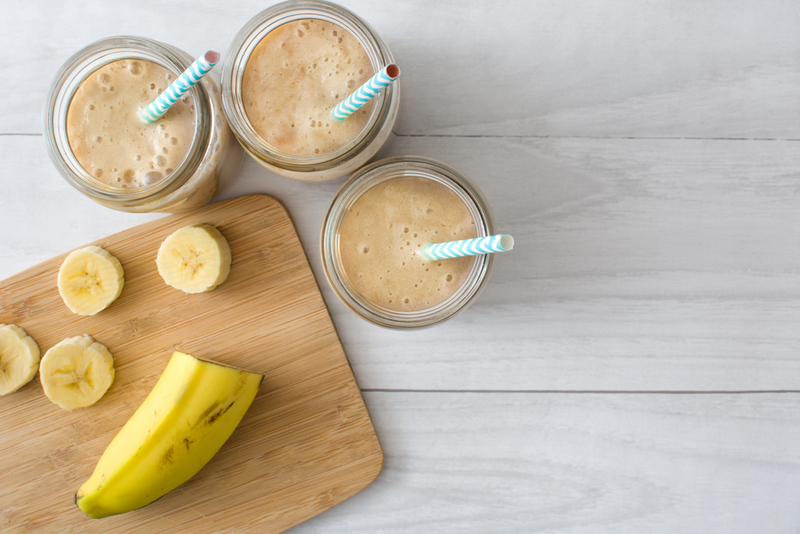 Sip on some major benefits with this Glowing Skin Smoothie packed with vitamins and minerals and all types of good stuff that will have you feeling revived and refreshed and paired with a healthy diet and exercise, will clear up your skin in no time. 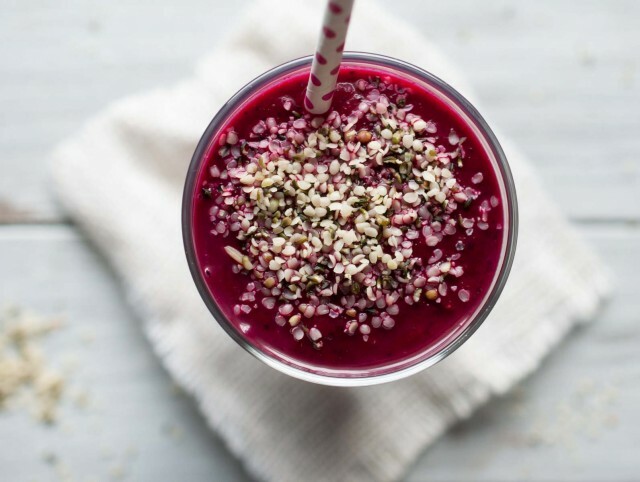 This healthy smoothie recipe, created by Koff, uses a protein powder made from hemp seeds, which is a balanced source of skin-boosting omega-3 and omega-6 fatty acids. The dandelion greens are great for the liver, helping to detox the body and skin; the avocado and raw cacao powder contain a powerful mix of antioxidants, which help clear the complexion and get skin glowing. A healthy creamy smoothie rich with Vitamin A, B & E, which help cleanse bad toxins from the body and fight against skin redness. Not only delicious and filling, this is a great choice for a breakfast meal replacement if you're looking to shape up a little. A super smoothie that's exactly what it says it is. A green machine. With a surprisingly delicious taste this recipe will banish cravings and detox your body, effortlessly leaving your skin smooth and glowing. 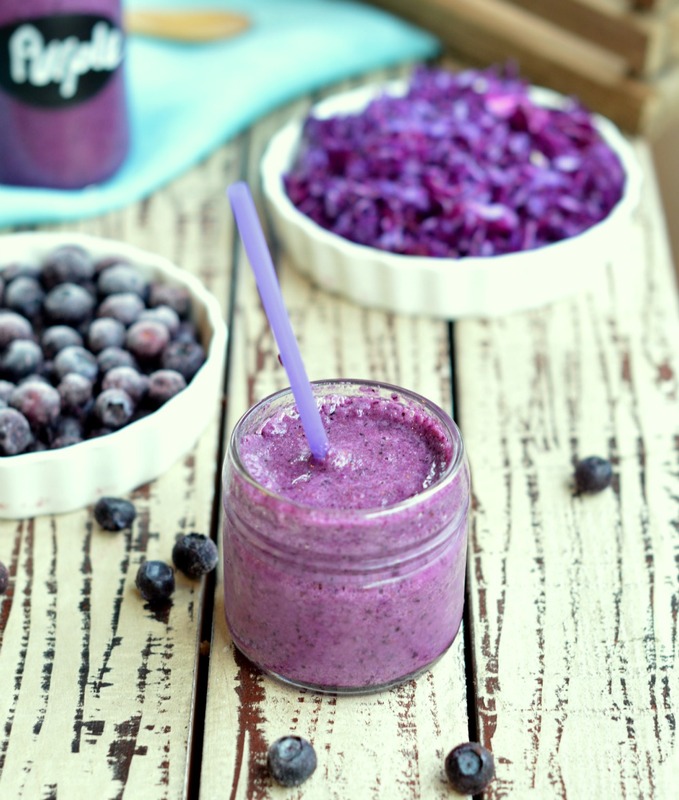 Super high in anti-oxidants, this recipe will help replenish damaged cells and pack you full of Vitamin C. A bristish study even shown that eating blueberries – as apples and grapes – reduce the risk of type 2 diabetes.